Your professional to trust for energy assessment. Graham Eyres Dip HI fully qualified as a Domestic Energy Assessor and Home Inspector. Accredited to government standards with both NHER and Elmhurst schemes I am insured and CRB vetted. I am fully independent and work directly with you, I have surveyed and lodged over a 100 EPCs in Portsmouth, Southsea and the surrounding area and can offer a prompt and reliable service with a quick turnaround. 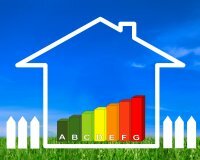 If you are looking for an EPC in Portsmouth, Southsea, Waterlooville, Hayling Island, Havant or surrounding areas, I am more than confident that I can be of service to you. If you feel that I can be of service to you in any way at all, then don't hesitate to get in touch with me.